With tomorrow being International Women’s Day, we thought it was timely to delve into a topic about women in the workplace and more specifically unconscious bias. Whether we like to admit it or not, everyone has conscious and unconscious bias which plays a role in who we hire, promote or socialise with. In the last few years many discussions—particularly on unconscious bias and much research into the subject has been done—like this one by the Melbourne Business School’s Gender Equality Project. So, it’s no surprise that Sandberg’s book ‘Lean In’ came in at No. 2 on the best-selling book of the year on Amazon and spent 12 weeks at the top of the New York Times nonfiction best-seller list in 2013. In it, Sandberg shares real-life experiences—names, positions, achievements and accolades—as well as hard data to reveal candidly how gender disparity in the workplace is real and also provides some useful tools we can use to overcome inherent patterns of behaviour. 1. Seek out all opinions, not just ones that agree with ours. We tend to be attracted to those who look, sound and behave like us—making us less inclined to seek out the opinion of those that seem different. As men dominate boardrooms, they tend to generally look to the opinions of other men. Everyone comes with their own set of experiences and getting a fresh perspective can shed light on things that you might have missed. 2. Keep your hand up! Sandberg admits even she’s not immune to being blindsided by gender bias. In her book, she reveals that she too while giving a talk to employees (funnily about gender issues), became blindsided herself. As Sandberg was wrapping up the event many hands were up in the air waiting their turn with questions for her. After taking a few questions, Sandberg let everyone know she’d only take two more questions. It was at this point the women in the audience put their hands down. But several men kept their hands up—and since they were still waving their hands in the air Sandberg took the men’s questions. After the meeting a woman from the audience came to see Sandberg to let her know the one valuable thing she learnt didn’t come from Sandberg’s words, it was to keep her hand up to get her voice heard! 3. Everyone feels like a fraud sometimes. You haven’t gotten where you are without having some successes. Unsurprisingly, multiple studies have shown that women underestimate themselves and men tend to overestimate themselves, although both sexes can fall victim to the impostor syndrome and feel like a fraud . Women tend to play out their perceived failures or negative aspects of situations over and over instead of accepting that although things don’t always go well, there are a lot of positive experiences to focus on. Sandberg writes about feeling like a fraud in her uni days and remembers that there were times when faking it till you make it— although a cliché—is useful. ‘Like so many other things, a lack of self-confidence can become a self-fulfilling prophecy.’ Remind yourself of all your successes and achievements. 4. Be open to feedback. Feedback can help us grow. If we’re willing to take responsibility for mistakes and learn from the constructive criticism of others, feedback can become something we seek out to help us develop. Armed with the knowledge of what others perceive about us feedback can build strong relationships built on trust. Sandberg and Zuckerberg actively reach out for feedback from each other and build this feedback culture into their workplace. After your next meeting or presentation—regardless of how well it goes—ask a trusted peer what could you have done better to improve the outcome. The results could surprise you. 5. Shift your mindset to ‘I’ll learn by doing’. Many women fear that they’re not ready to take on more challenges and stretch themselves, thinking they don’t have all the skills. According to a Hewlett-Packard study Sandberg refers to, women only apply for job advertisements if they think they meet 100 per cent of the criteria listed. Conversely, men apply if they think they meet 60 per cent of the requirements. Either way, it’s useful for managers to encourage talented women to move up through training and development plans, as well as women to remind themselves to seek out opportunities and learn by doing. Also, we thought we’d share a video Marie Claire released about standing up for women’s rights and celebrating women who inspire us. First spotted on Gabrielle Dolan’s newsletter about IWD this week. We’ve been collecting c-acronyms this week including Content Management Systems (CMS), Corporate Social Responsibility (CSR) projects and Customer Relationship Management (CRM) systems. Not only are we investigating potential CRM and CMS solutions for a couple of clients, we are also testing them out with our own crew. It’s incredible how many great choices are available and how many are in the cloud. Our crew has also continued to collaborate on some exciting CSR projects and every day we are thrilled to discover more amazing CSR initiatives occurring right here in Melbourne. On Thursday night, our chief associate Helen Steel attended the launch of a new book edited by Sara James called An Extraordinary School. The book is the story of an innovative school that will challenge you to re-think how special education is taught. The book is about Port Phillip Specialist School, which has received national and international recognition as a best-practice model for educating children with special needs. Sara was on The Circle earlier this week and profiled in a recent issue of The Good Weekend. While it’s been a busy week of work, we have managed to find time between c-acronyms and book launches to try (and try) the tasty new Japanese café around the corner. Nama Nama comes to us courtesy of the co-owners at Izakaya Den. 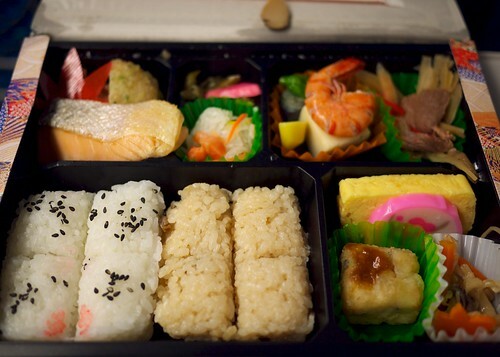 The Bento Boxes, particularly the surprise, are delicious and perfect conversation starters for a meeting or a lunch. Finally, with my hat on as State President for PRIA in Victoria, I have some exciting news to report. With five months still to go until the World PR Forum in November, more than 400 people have registered to attend from 20 different countries. Have a great weekend and send us your favourite c-acronyms. This week the c word celebrated Fourth of July alongside our American friends, so a belated happy Independence Day to you all. While we didn’t manage to have the day off, we did consume our fair share of American candy as recompense; mainly Reese’s Peanut Butter Cups in their miniature form. In keeping with the US theme, Tuesday night we attended the US Consulate’s Independence Day function at the Fox Classic Cars Museum in Docklands. It was great to catch up with the many Americans and honorary Americans living in Melbourne including author and NBC Correspondent Sara James, American Australian Association’s Regina Khart and General Manager of the Melbourne Aces Windsor Knox. Thanks to the staff and volunteers of the US Consulate for organising another wonderful celebration of their Independence – 236 candles required to mark their birthday. Congratulations also to the lovely Sally Branson who received an employee of the year award on the very same day. Our next topic comes with this advice: singing should be kept to the stage, the shower or on rare occasions the lounge room in the company of extremely close friends and truckloads of tequila. Even if you have the world’s most wonderful voice, a media interview is not to appropriate place to prove it, unless of course it’s your profession (and even then it’s questionable). What I can say for sure is a politician should never end their television media interview with a jingle. But thank you Craig Emerson for providing the laughs this week and taking us back to the singing and dancing pollie days of Midday with KAK. Final topic for this week’s Closing Comment: culinary delights and conversations. We had a number of great chats about communications over coffee and calories this week, some scheduled and many impromptu. We started the week with back to back coffees at the c word HQ Milton House with a journo, an event coordinator and a CEO. Sounds like the candlestick maker etc doesn’t it. Perhaps we’ll try that next week? Wednesday we caught up with some friends in fundraising at Red Spice Road. A great conversation about fundraising events was followed by complete silence as we devoured their famous pork dish. A must try if you’re not a vegetarian and enjoy your pork belly! Thursday morning we caught up with our Twitter and PRIA colleague Dean Mercer over coffee at Cumulus providing another colorful communications conversation. Now it’s Friday and time to speed through the to do list, clear out the inbox & get ready for a sunny weekend (we hope). It’s Australia Day tomorrow. Time to celebrate living in this beautiful country. Time to enjoy a barbecue with friends. And time to look at some of the iconic brands that “still call Australia home”. I couldn’t resist throwing in part of the Australian classic “I Still Call Australia Home”. First to Vegemite. You’ll find it in most Australian households either for frequent use or to have on hand for the overseas visitors. Before we look at the good. Let’s look at the not so good. iSnack 2.0. Where do I plug it in? How many batteries does it take? Will it play my podcasts? The brand copped a lot of flack over the decision to tinker with the classic taste and the name. After much public outcry, Kraft soon dropped the name and moved on to better things. Now they’re back with another attempt to win Australians over with a name change. This time, they’ve opted for the name Australia. Watch out for the limited edition jars featuring a red Australian flag and Australia on the label. They’ll make any overseas visitor enjoy the taste even more. The name change isn’t Vegemite’s only campaign to cash in on Australia Day. They are also celebrating Australia Day with special limited edition Vegemite jars featuring 10 remarkable but everyday Australians in the “Toast of a Nation”. It reminds me a little of the stamp series launched by Australia post back in the late 90s – remember? I think both campaigns have turned out well and I am even considering rushing out and buying one or two of the limited edition jars. Thankfully they remembered to include Tasmania on their map of Australia, unlike Shapes. That’s enough of a spread on Vegemite, now onto some other iconic Australian brands. Hands up if you haven’t (at one point or another) had a hills hoist in your back yard? If not, put the mouse down and head off to Bunnings to check one out. I can remember many hours spent with grandma hanging clothes on her hills hoist. And because of the set up of her back yard, we were able to jump on at the low point and fly around. It’s one of many great Australian inventions and has become a symbol of Australia in many artistic works. It’s also a great example of a brand that spread like wildfire and came to represent a whole category of products. It’s our very own Xerox. Another classic Australian brand is Bonds. Hands up (I know it’s starting to feel like we’re in a classroom) if you have never owned a pair of Bonds undies or a Chesty Bonds singlet? Now owned by Pacific Brands, the company has continued to produce a range of popular products. They company has also had its share of controversy with a large number of jobs moving overseas. Australian tennis player Pat Rafter and model Sarah Murdoch have both promoted the brand in recent years. I’m a Queenslander so I couldn’t let this post past without a reference to Bundaberg Rum and XXXX. Both brands are as Queensland as the Broncos and sunshine. Last but not least, we can’t write a post about iconic Australian brands without mentioning Qantas. 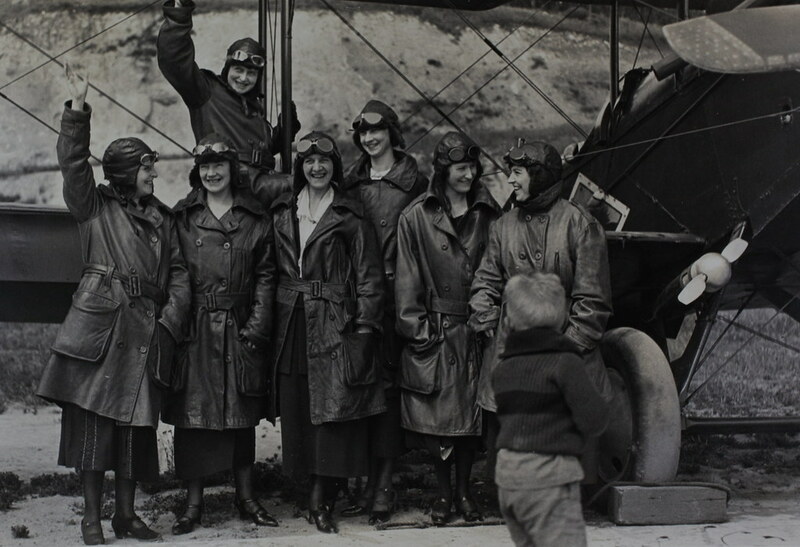 The “Spirit of Australia” has helped millions of people fly around this vast country of ours to weddings, concerts, business meetings and so the list goes on. As well as being a pioneering Australian company, they’ve also survived a number of other Australian airlines and dealt with a number of crises including the recent grounding of their entire fleet. And who can talk about Qantas without thinking about the Qantas choir and their renditions of Peter Allen’s “I Still Call Australia Home”. 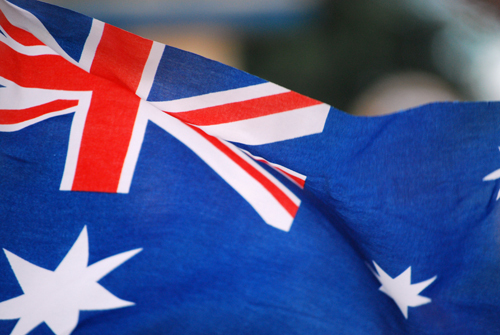 From everyone at the c word, have a wonderful Australia Day. Grab out your pens and pencils, freshen up your ink well, pick up a fresh sheet of writing paper (or perhaps a new writing pad) and head on down to Federation Square for the 26th Melbourne Writers Festival. The words will be flowing, with an exciting program of events, until Sunday 4 September. Each year, MWF invites novelists, playwrights, poets, screenwriters, journalists, songwriters, bloggers – anyone who’s part of the world of words to join the conversation. The festival program features an enormous range of literary activity including entertaining discussions, debates, readings, film screenings, interviews, literary banquets, performances, workshops and book launches, as well as a lively schools’ program for primary and secondary students. If you can’t be there in body, be there in spirit by following the adventures of five UNbloggers attending MWF events and writing about them on their blogs. Check out the cool video created to advertise the festival below, and also view the films from the Festival’s Unbound film competition. Whether you like your newspaper with your morning coffee or prefer to save it for the weekend lie in, there’s no denying that newspapers play an important role in our lives and the professional lives of communicators. Last week, I put my presidential hat on (ok I don’t have a special hat but perhaps I should get one?) and joined 12 members of the Public Relations Institute of Australia for an exclusive tour of Media House with The Age and 3AW. Following the tour we sat down for lunch with three journalists from the paper. Fellow PRIA member and Communications Manager for The Age, Miranda Schuppan, led the exclusive tour. She started at the epicentre of editorial operations – the modern newsroom with numerous journalists working across the day to produce news for print and online versions of The Age. Shane Green a senior journalist with The Age talked through the various areas of the newsroom. He’s held a number of roles with the organisation and was happy to share his insights with our members. 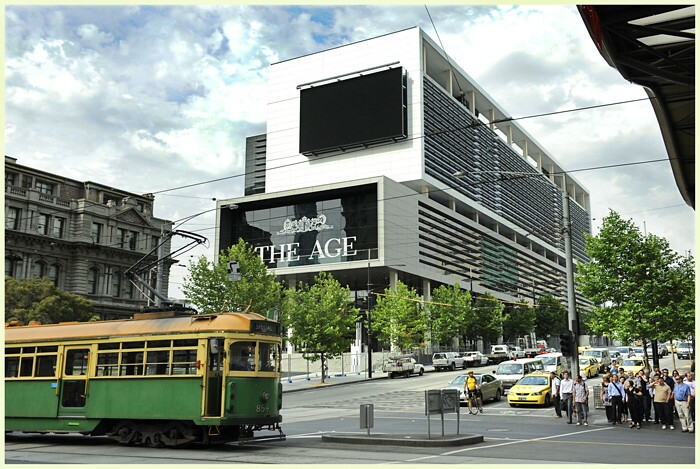 We then huddled around the screen of theage.com.au editor, Daniel Sankey, and saw how quickly they were able to publish stories. If you think the back end of your website is impressive, consider how it would cope with hundreds of new stories a day and thousands of unique visitors a month. At the time they were just about to break a World Cup 2022 story. Daniel told us about the peak times for online news viewing. They are 8am when people are arriving at work, lunchtime when people are munching on their sushi and a little before 5pm when they’re packing up to head home. Hands up if you head to theage.com.au at one or all of those times? If you’re a regular visitor to theage.com.au you’ll know that video content is being used more and more. What you might not know is that it is produced at Media House. We were shown the well-equipped studio, which is just like a mini commercial television studio and is used for video interviews, panel discussions and other reports. A few floors up, we met David Mann or “Mann about Town” as many people know him. He’s been at 3AW for many years and has held both on-air and behind the scene roles. David shuffled us into one of the studios that was free at the time and provided the group with an insight into 3AW’s production process. He gave each of us some handy hints on working with the team at 3AW and answered many of our burning questions. We also met some of the voices behind the news broadcasts and were delighted to learn that one of our fellow PRIA members, Keith Hainsworth from Deakin University, had started his career in the 3AW newsroom. David showed us the impressive technology that keeps the station on air and said that the greatest technological advancement for radio was the invention of the mobile phone. He said that mobile phones have produced thousands of news reporters for radio stations. Effectively, every listener is a reporter, because when anything happens in Melbourne, they ring in immediately with first-hand accounts of the unfolding event. Finally, David and Miranda gave us some great advice for preparing clients for radio and press interviews. Over lunch with Daniel Sankey, Shane Green and Laura Hamilton we spoke about a range of topics from what different sections cover to the best way to present stories to The Age and 3AW. make sure you know what time of day is appropriate to call a journo or producer. And even pick the right minute to phone in. For example, don’t call a radio producer on the hour or half hour, because they’ll be listening to the news bulletin. Best time to call is quarter past or quarter to the hour. always spell a journo or producer’s name correctly. Finally, a big thanks to Miranda, David, Daniel, Shane and Laura for sharing their time with us and showing us around Media House. It is amazing what you can learn from fun runs, fashion parades and food festivals. Three Melbourne communicators shared the excitement and challenges of managing PR for major events at a panel discussion in May. The panel included Sally Brown from the Melbourne Food and Wine Festival, Sharon Morris from the Mother’s Day Classic and Brooke Shell from Ann Morrison PR. Topics included measuring the success of major events, building relationships, sponsors, volunteering and planning. Brooke Shell says the media landscape has changed considerably in the five years she’s been working on L’Oreal Melbourne Fashion Festival. This year, they held their first bloggers conference and got a huge response. She also says media accreditation is a major part of large events. Both Sally and Brooke work on festivals with a large number of events in different locations, and agreed there was a lot of interest from local media who wanted stories about people and events in their area. When asked about the importance of measuring the success of their events, the panel said it was important to not only get quantitative data but also qualitative information. Sally Brown said feedback helped improve future festivals and communication approaches. On the topic of measurement and data, Sally Brown also said the Food and Wine Festival were able to track where people were when they bought their tickets and were seeing a large number of tourists from New Zealand. As a result, they now focus some of their communications on this market including New Zealand launches. When asked about tips for smaller events, Sharon said people organising events in smaller communities should build strong relationships with local businesses. She also said councils can provide invaluable support – particularly helping shut down roads for fun runs. Sharon, who runs multiple events around the country on the day of the run talked about the importance of volunteering. She has a very small team of paid professionals and relies on the support of volunteers. All agreed they often needed to work on their work/life balance, particularly in the lead up to their events. Brooke Shell who is used to managing celebrities, models and fashion designers said she often reminds herself and colleagues that we work in PR not the ER. Sally Brown likens her job to triaging and says she’s learnt to focus on the big picture and not sweat the little stuff.